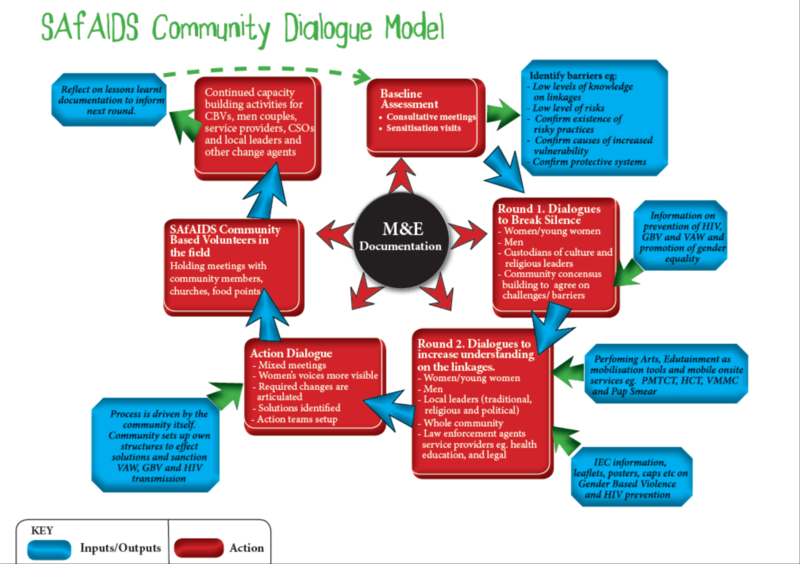 Multi-media campaigns, utilizing television, radio, newsprint as mass media; integrated with social media and traditional media (performing arts) has played a core role in SAfAIDS ACSM approaches, and proved effective in reaching masses, and mobilizing. Documentation of working models and best practices, and their utilization through advocacy for improved program designs, service delivery, policy transformation and greater investment in working models. Community Systems Strengthening through community referral systems building application of mHealth, linkages with health facilities. Building skills within community groups and structures continue to contribute to sustainability of SAfAIDS programmes. Advocacy and Social Mobilisation has been the life-blood of SAfAIDs success in reaching and reffering target audiences, and subsequently increasing access to services by those who need them. ACSM has also contributed to reducing in stigma & discrimination, and building conducive environments for marginalized and vulnerable groups to access services, enjoy their rights within violence free settings, especially through engagement of educators (teachers) and parents in communities. Policy Advocacy, through policy dialogues and engagement in larger platforms such as SADC Secretariat and AU Commission hosted forums, as well as Government Ministry Technical Working Groups and CCMs, through provisions of technical input into national and regional policies, strategies, frameworks, Minimum Packages and Standards and related instruments guiding the policy environment linked to SRH and HIV. Material production has remained SAfAIDS core niche across the Southern African region amongst its peers. 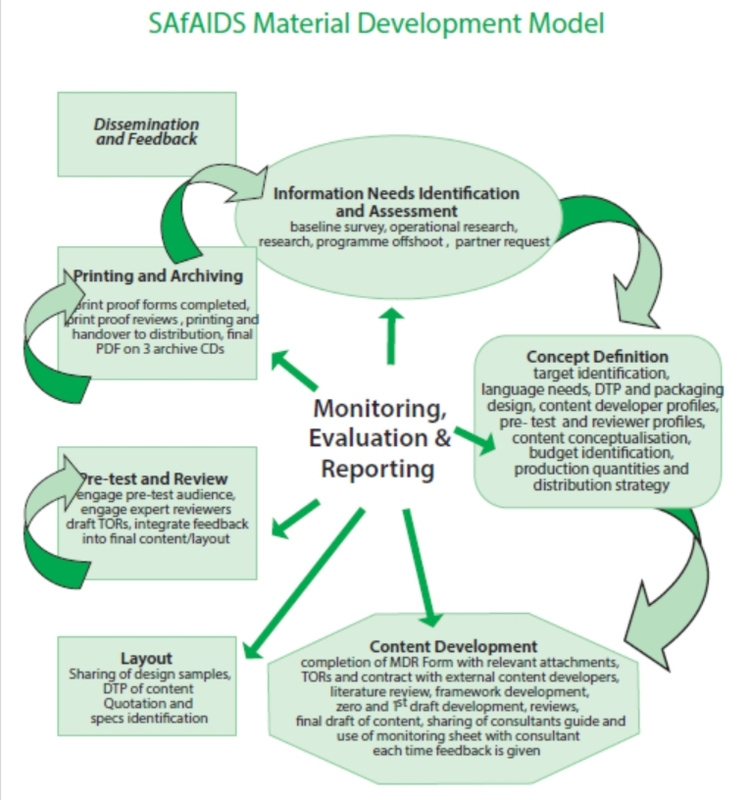 SAfAIDS robust methodology of developing, pretesting, packaging and disseminating information through innovative hardcopy and virtual platforms and mediums (websites, social media platforms, e-learning sites); with and for its target audiences, will remain mainstay of all its approaches. ICTs for e-Learning and for advocacy and virtual dialogue has expanded SAfAIDS reach and broader dialogue among populations not always reachable physically.